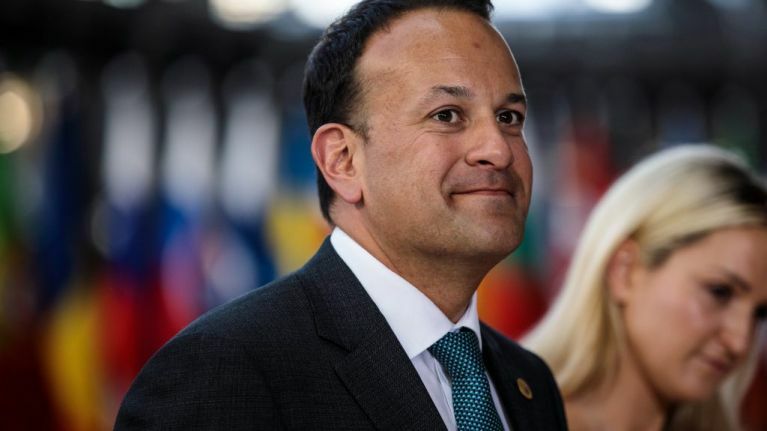 Leo Varadkar has "absolute confidence" in Simon Harris but won't "pre-empt what he’s going to say"
Taoiseach Leo Varadkar has said he has "absolute confidence" in the Minister for Health Simon Harris. His comments come after a memo released on Thursday evening showed that Harris was aware the cost of the construction of the new children's hospital was €191m over budget in August of 2018, but he didn't inform the rest of the cabinet until November. Speaking to reporters in Belfast on Friday afternoon, Varadkar said: "I have absolute confidence in Simon Harris as Minister. "He’s somebody who has delivered. He delivered on the Repeal of the Eighth Amendment, he delivered at long last on important legalisation around the Public Health Alcohol Bill. "So I’ve every confidence in Minister Harris. But obviously I’m not going to pre-empt what he’s going to say in the Dáil next week, I’m sure he’ll like to write the statement himself," Varadkar said. Harris has come under increasing pressure with Sinn Féin's Health spokesperson Louise O’Reilly and Sinn Féin leader Mary Lou McDonald calling for Harris to be removed from his position as Minister for Health. The Health Minister is due to speak in the Dáil next week.